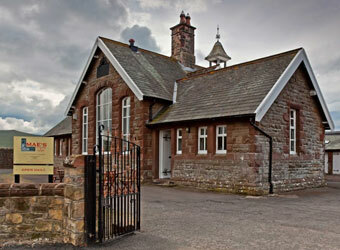 A traditional feature of many English towns and villages is a local tea shop or cafe. Many serving a wide selection delicious food, afternoon tea and drinks. 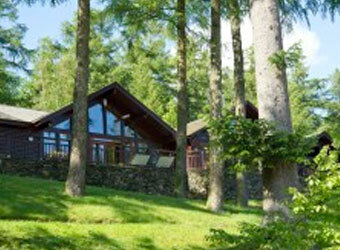 With a range of dog friendly cafes in the Lake District your dog need not miss out on this experience. Discover some of the very best cafes in the area by exploring the list below. Bampton Shop & Tea Room is situated in the delightful village of Bampton, near Haweswater, with lots of great walking and scenery to enjoy nearby. 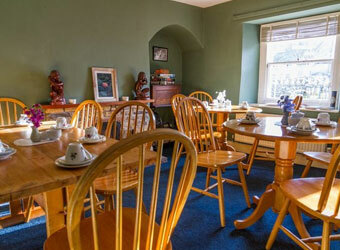 The tea room offers homemade cakes and a selection of savoury snacks, soup and sandwiches, in a friendly welcoming atmosphere. 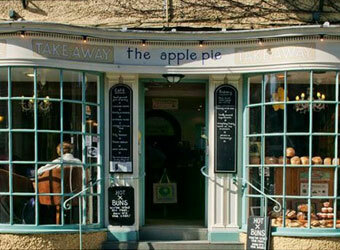 Offering a fabulous range of freshly prepared home cooked food, there is something for everyone. 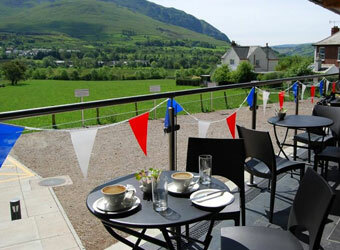 On warm days why not sit outside on the balcony and enjoy the mountain fresh air, birdsong and occasional red squirrel. 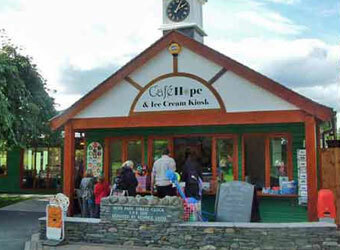 Renowned for its delicious of home made cakes and variety of teas, Cafe Hope is a special place to sit and relax whilst watching, or perhaps after, games in the park. 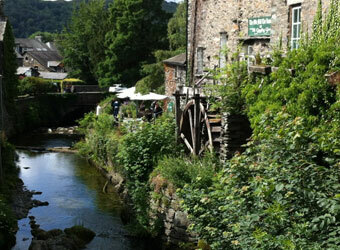 Ambleside's latest vintage tearoom serving lunch, coffee and drinks. 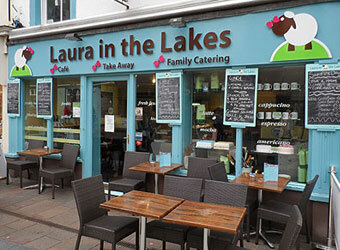 On Keswick's main street you will receive the warmest welcome and efficient service by any member of Laura's team with the best choice of home baked cakes and hot seasonal dishes in town. 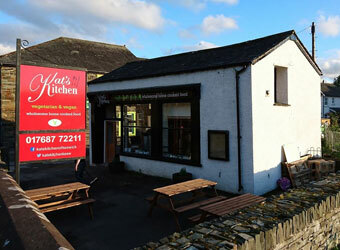 Kat's Kitchen offers great home-made meals, freshly baked vegan and gluten free cakes, smoothies and great hot drinks - especially the locally roasted coffees. 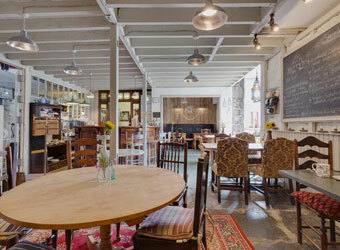 At our Dalegarth-for-Boot terminus visitors will find Fellbites, a contemporary eatery managed by Kath Graham, a true foodie who has a passion for creating exciting seasonal specials using local ingredients where possible. Dogs are permitted on the ground floor of this building only. 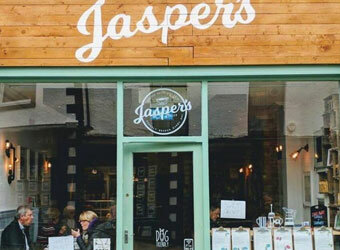 Jasper’s is a cosy friendly cafe in the heart of Keswick, Our customers claim we are the friendliest dog cafe in Keswick and of course we agree. Our aim to provide good quality food and excellent beverages along with excellent customer service. We have something for everyone! Breakfast, Lunch and Snacks which include gluten free and vegan options. Our delicious range of cakes, scones, sausages rolls and jams are all homemade. 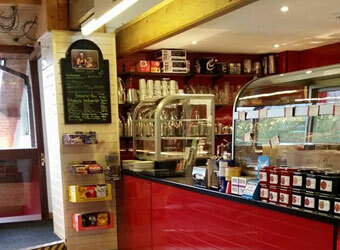 Low Sizergh Barn cafe features homemade treats and guarantees a warm and friendly atmosphere. 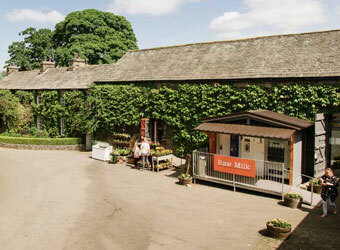 Every afternoon around 3.30 pm the farm's cows come in to be milked and the café’s large gallery windows provide a bird's eye view of the whole event. Dogs are welcome in the outdoor areas, including the outdoor cafe area, which is open during peak times (holidays and weekends). 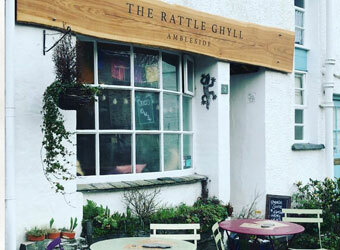 The Rattle Ghyll Cafe provide hearty, home cooked goodness. Whether it's for one of our local regulars, out for lunch, walkers back from the famous Fairfield Horseshoe or cyclists out to bag some of the notorious Lakeland passes. We provide that honest feed that folk crave, no matter what they've been up to. 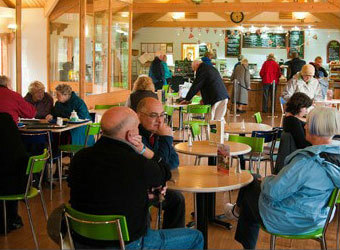 Located on banks of Derwentwater, The Lakeside Cafe is the perfect spot for light breakfast, lunch, coffee and cake or atmospheric dinner with stunning views. 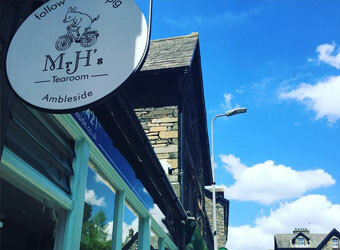 One of the smallest independent coffee shops and eateries in Bowness and only a short walk from the shores of Lake Windermere. 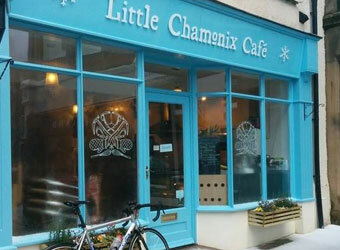 Many of the dishes can be produced gluten free or diary free/vegan and the owners pride themselves on providing deliciously different dishes served in a relaxed environment. 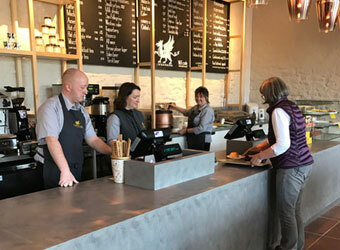 Located in the heart of Lake District, The Apple Pie is an independent, family run, cafe and bakery serving fresh and quality products everyday to regular visitors, passing tourists and loyal locals. Dog friendly in certain areas of the cafe. 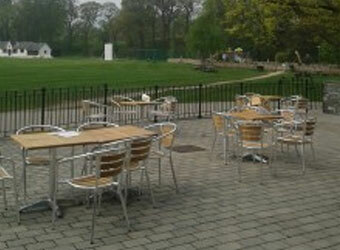 Situated within Keswick Museum and overlooking Fitz Park, it’s the ideal place to sit back and relax. 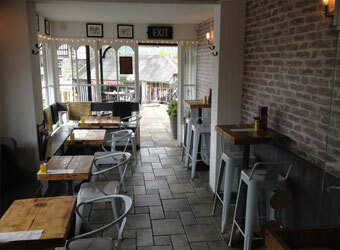 Offering fresh, high quality food and drink seven days a week. 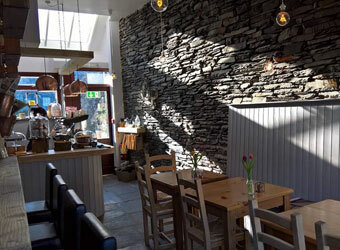 A cosy hub in the heart of Ambleside, the Lake District, jammed with great food, coffee, music, and friendly faces. 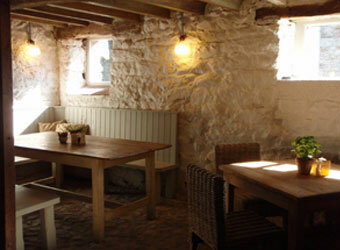 Dogs are welcome in all areas including the bar, cosy fire room and kitchen garden. In the grounds of Askham Hall, tucked away in part of a converted Grade II listed barn is a quirky, atmospheric stylish café serving morning coffees, light lunches and afternoon tea and cake. 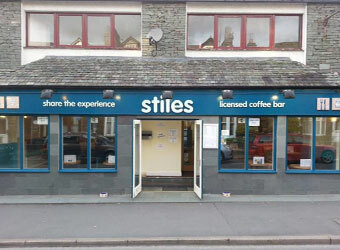 Stiles is a family run coffee bar situated on the main road leading into Ambleside in the Heart of the Lake District. 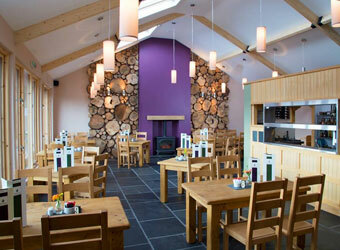 The cafe serves good quality, locally sourced food and locally roasted coffee. Dogs are welcome in any part of the cafe and are treated to biscuits too. 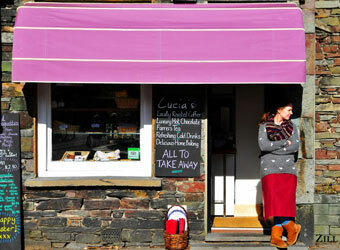 Lucia's, a purely takeaway coffee shop and bakery in the heart of the Lake District! 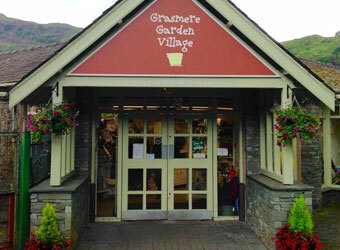 Nestling in the heart of Ambleside, in the English Lake District, you'll find the friendly folks at Giggling Goose Cafe. The converted Old Mill is now home to a selection of home made cakes and tray bakes, freshly made meals and refreshing drinks. When everywhere you look is a feast for the eyes, make sure you take time out to feed your passion for a real taste of the Lake District. Pop along after working up an appetite from boating, biking, mini golf and more! 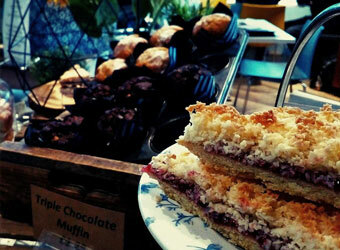 Offering a selection of homemade treats to give you a much needed energy boost. Laid back and friendly, a cosy chalet-inspired cafe which is perfect for a morning coffee with a freshly baked scone, leisurely afternoon lunch or an end of the day, much-needed hot chocolate. Our coffee is fantastic, there is an interesting wine list, wherever possible we buy locally, everything is freshly cooked, there is a cosy seating area by the fire with newspapers and magazines, free wifi, and you will be very well looked after!